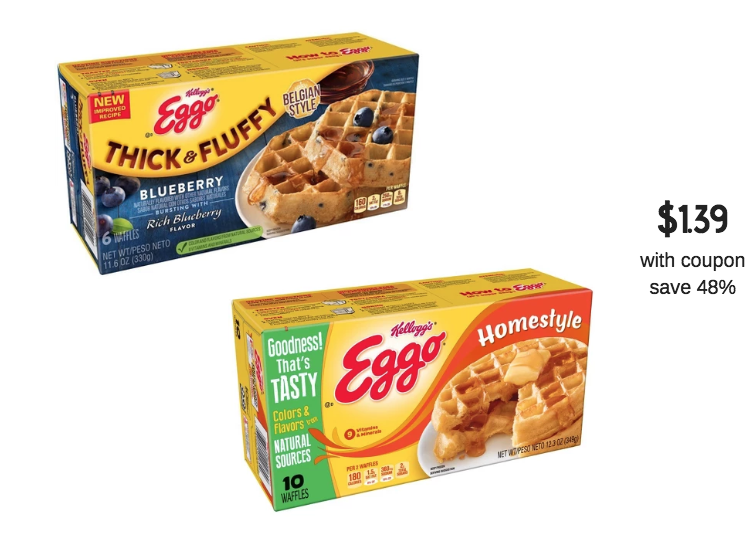 Make room in the freezer for this hot deal on Kellogg’s Eggo Waffles with a new sale and coupon at Safeway. 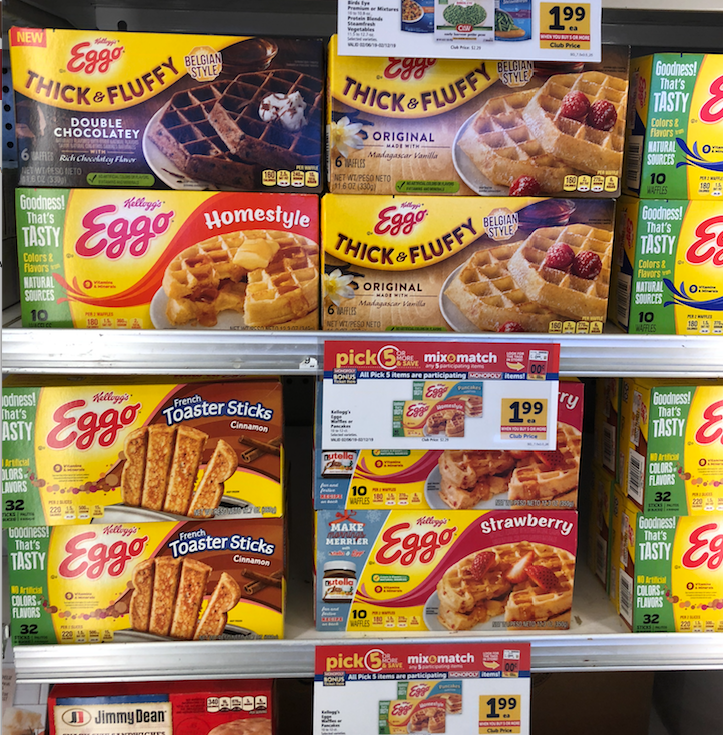 The 6-10 ct. Eggo Waffles are on sale for $1.99 with the Pick 5 or more promotion through February 12th. Pair this super low sale price with a new Checkout 51 offer for $.60 cash back on any Eggo product 5.9 oz or larger. The rebate can be redeemed 5 times on one receipt, so you can actually get 5 boxes for just $1.39 each with the offer. Great news if your family goes through a lot of waffles like mine does! I like to serve waffles with fresh strawberries and with Valentine’s Day next week, you can even include a little chocolate or Nutella for an extra special treat. Be sure to take advantage of the $1.67 sale price on fresh strawberries, blueberries and blackberries to pair with the waffles. 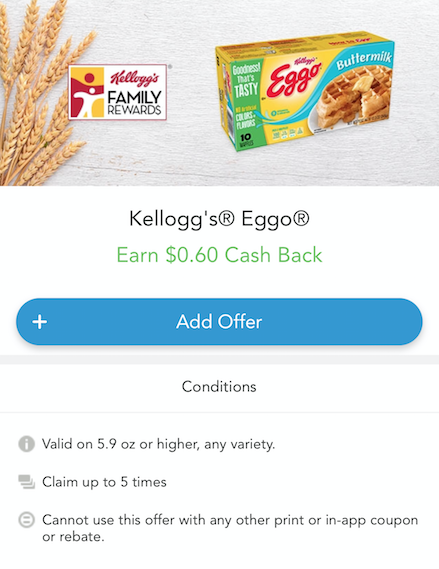 Additionally, if you are a Kellogg’s Family Rewards Member, you can redeem 850 points to receive a $1.00 off 1 Eggo Coupon that you can use to get the waffles for just $.99. However, you may not use both the printable coupon and the Checkout 51 rebate at the same time.